Morleys Rewards is a loyalty reward scheme in which you’ll earn 3 points per £1 spent in the Beauty Hall, and 1 point per £1 spent across the rest of the store. You can join Morleys Rewards at any counter in store. Please ask your Sales Advisor for details on opening your account. Alternatively sign up online today. Yes! All Morleys customers are welcome to join. It will only take a few moments to complete the sign up, but you must have a valid email address to be able to redeem points. Do Morleys Reward points expire? You can collect points on all beauty products; beauty treatments at Eye Candy Brow Bar are excluded. Ask in-store for more details. If you forget your Morleys Rewards card but still want to collect your points, your Sales Advisor will be able to access your account at the till and allocate your new points. 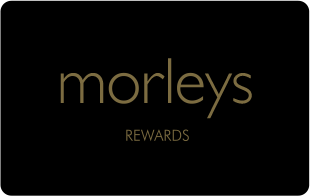 You must present your Morleys Rewards card at the time of transaction in order to redeem points.